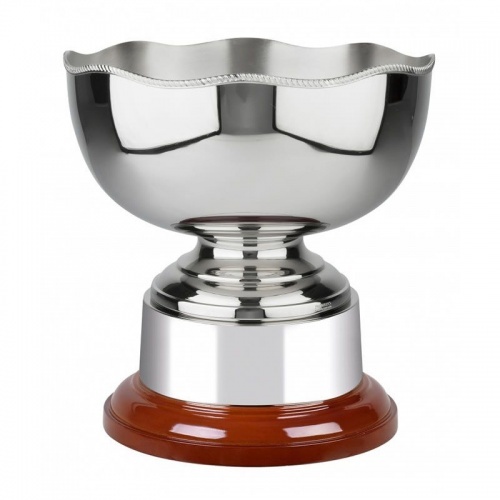 These premium quality 'Pentagon' trophy bowls are handmade in Britain and have a non-tarnish nickel plated finish. They feature a hand mounted Gadroon wire mount on the distinctive scalloped wavy edge rim. The bowl is mounted on a rosewood finish base complete with plinthband. This presentation bowl stands 10in tall.